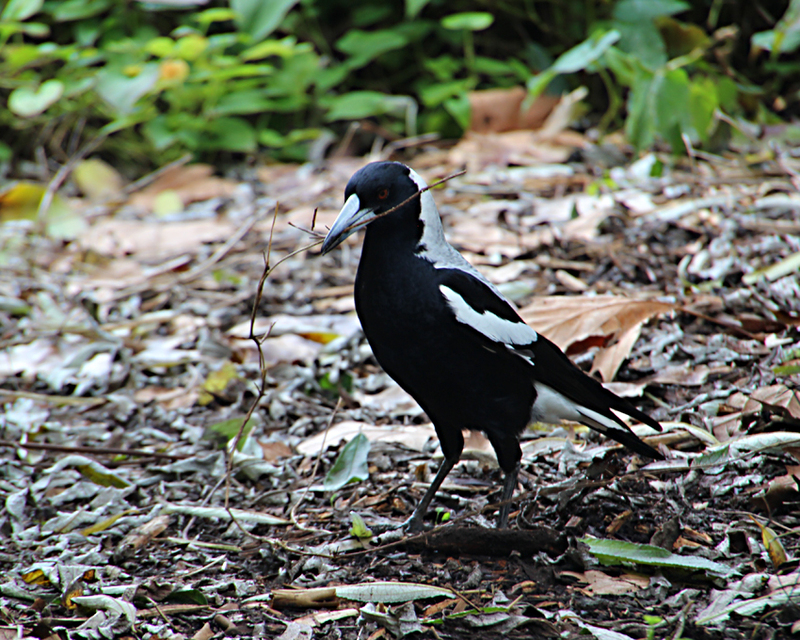 Australian magpies are fascinating birds, gregarious and intelligent with rather an aggressive streak during the nesting season. This one seems a little out of tune to the seasons, it’s not really the time to be constructing a nest at the beginning of winter but here it is collecting material for just that purpose. 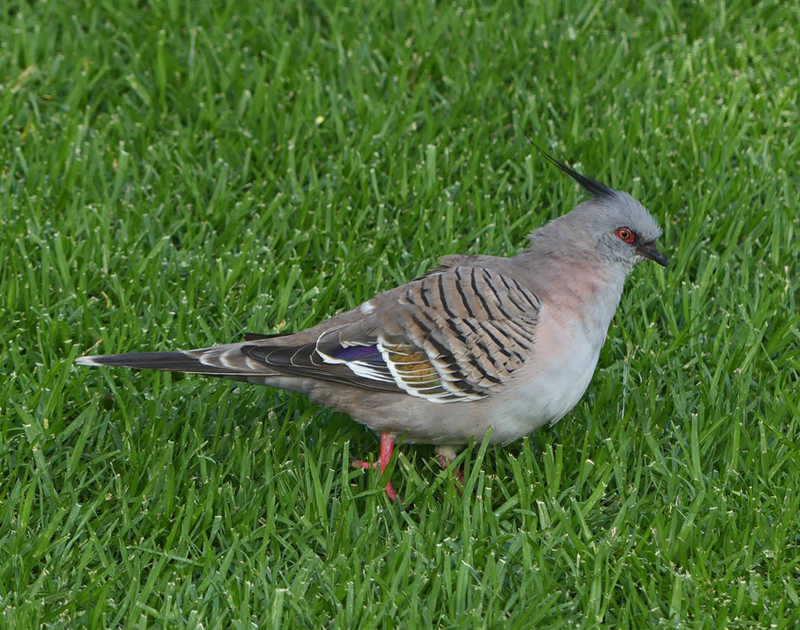 Botanical gardens are wonderful places to observe wildlife especially in the winter months when some animals’ natural habitats can be bereft of food while others will have moved on to the proverbial ‘ greener pastures’. 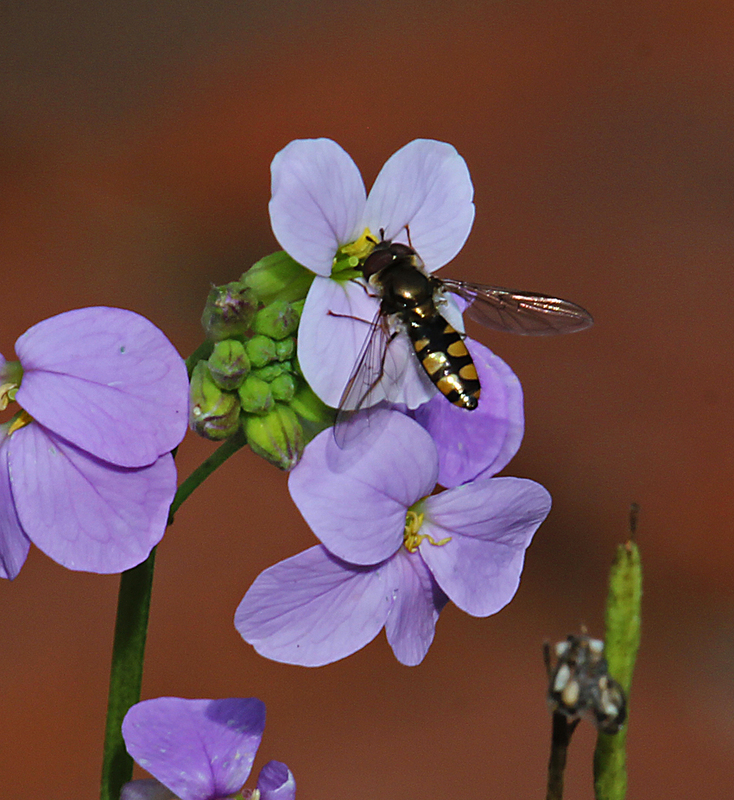 The incredible variety of plants in the gardens ensures that something is always flowering or fruiting which in turn leads to a food web that supports a range of wildlife from birds and mammals to insects and spiders. 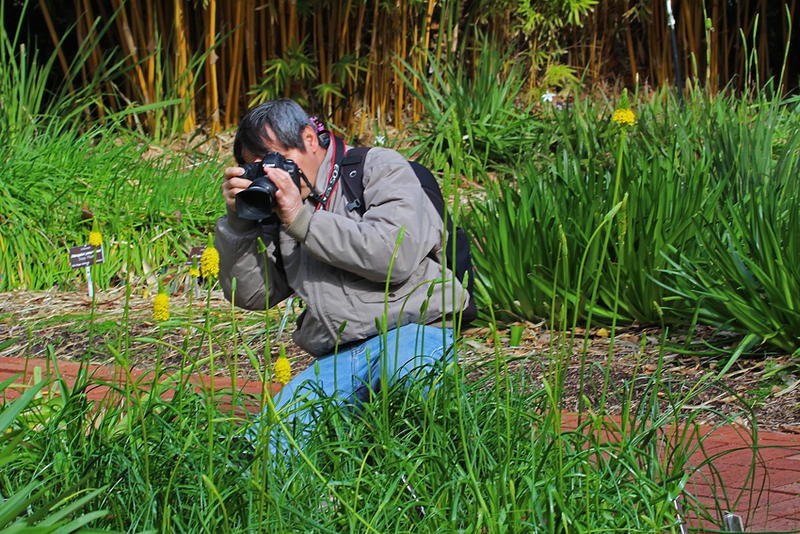 Our Botanical Gardens also draws in another species; the nature photographer (Homo sapiens cameralis) and they often migrate great distances to enjoy our wildlife. The gentleman in the picture was a visitor from Asia who was keen to photograph Australian native plants and we had an interesting conversation about the unique ecosystems that he might visit in South Australia. 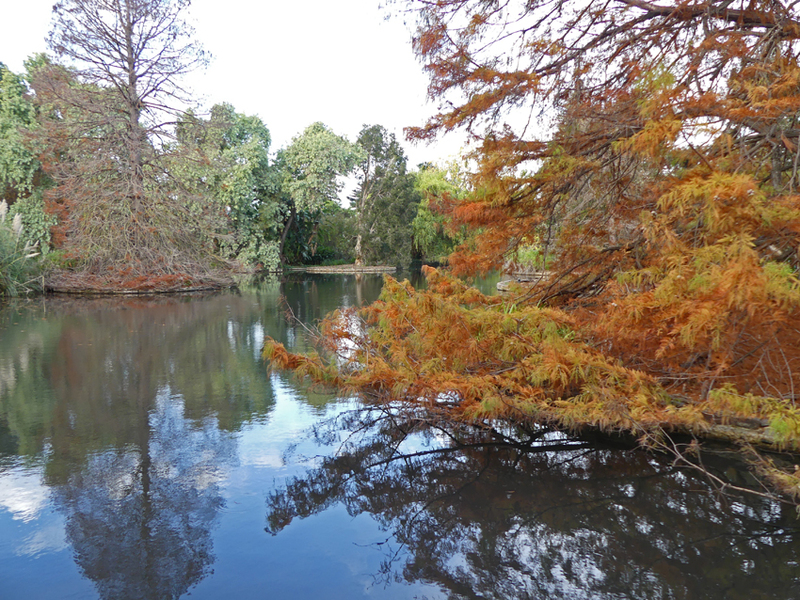 My excursions often include a place to eat and have a break and there are several in the Botanic Gardens. On this occasion I simply sat by the quaint little lake and enjoyed a light snack from the kiosk but more elaborate and substantial meals are available from Cafe Fibonacci and the Botanic Gardens Restaurant. The gardens also house a museum of economic botany, Victorian era palm house, the bicentennial conservatory and many other specialised areas. Walking around the lake is always a pleasure and in the warmer months giant carp feed near the banks and freshwater turtles are commonly seen basking on the surface. Today, there are several cormorants drying their wings and a lone rosella foraging for seeds amongst the bare limbs of a tree that sits on a small island in the lake. 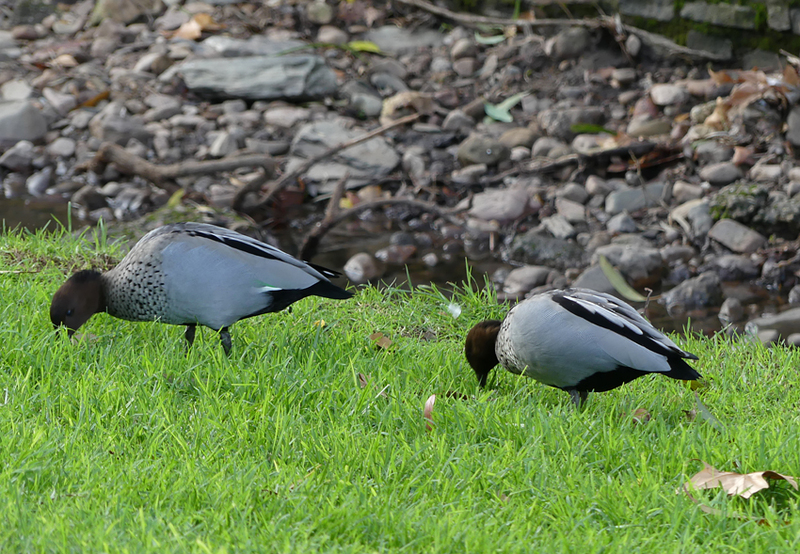 From the lake I head east towards the Bicentennial Conservatory crossing over a small creek where a pair of maned ducks and a crested pigeon are foraging in the lush grass that borders the waterway. My last encounter is with another one of those hominid species that frequent the gardens. 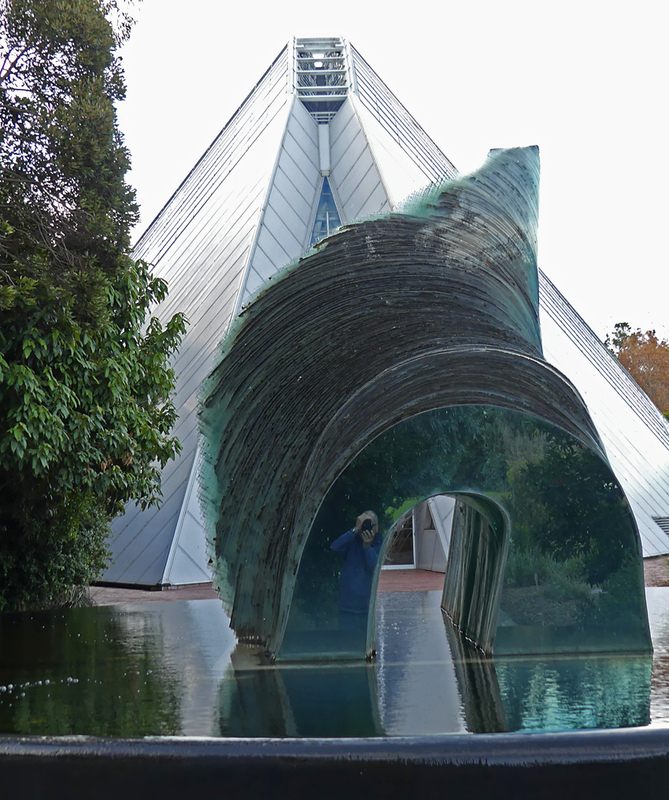 Indeed, it is my own reflection as I pause to photograph the fascinating glass sculpture entitled ‘Cascade’ by Australian artist Sergio Redegalli, which dominates the southern end of the conservatory. 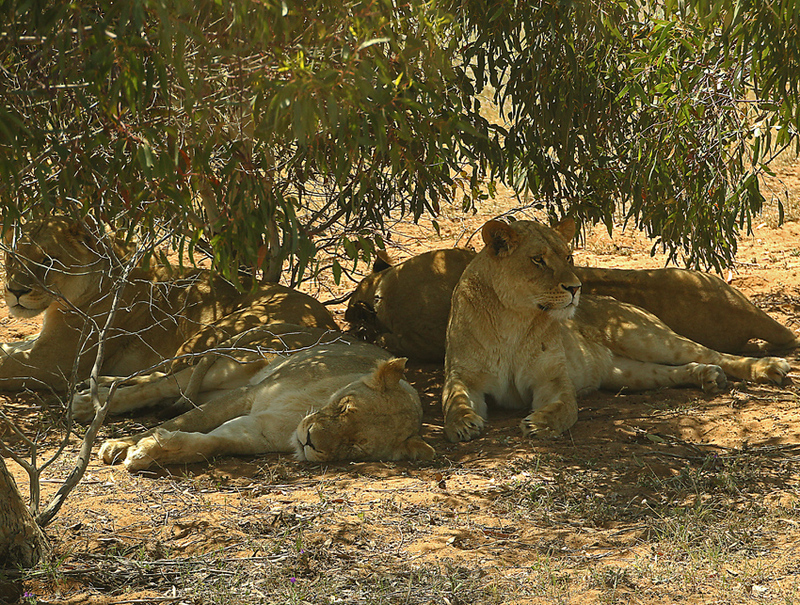 There’s something wrong with the first few images; lions do not usually recline under eucalyptus trees and my blogs are about South Australian wildlife. 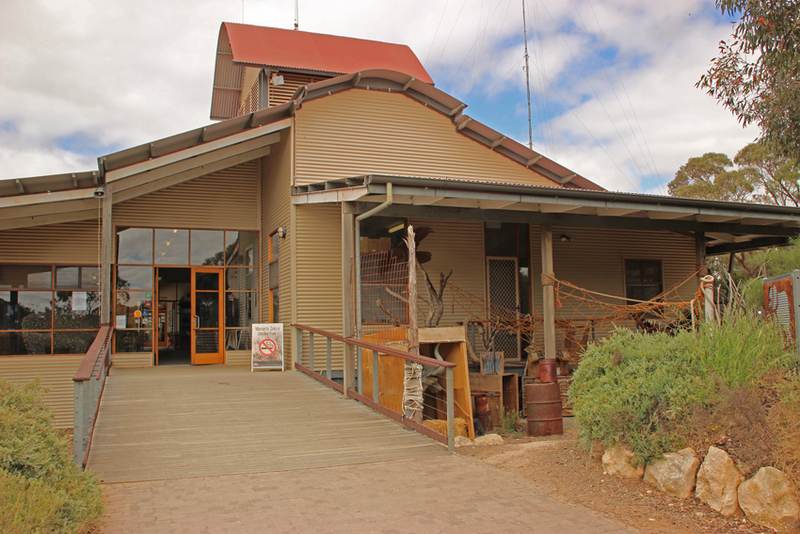 However, Monarto Zoo’s impressive array of wildlife and ideal safari setting certainly merit an article or two from this writer. When I travelled to Botswana’s Okavango Delta a couple of years ago I was lucky enough to see many of Africa’s iconic species. 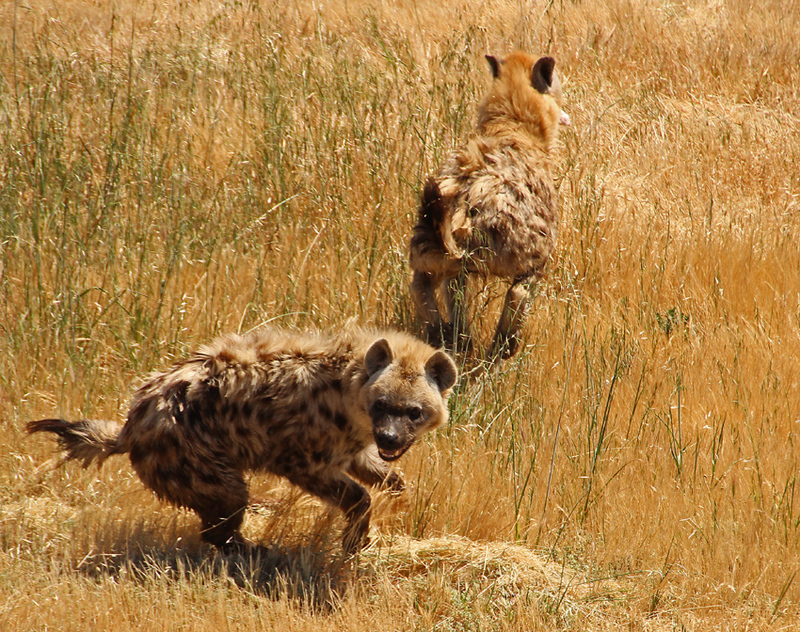 Unfortunately I never encountered hyenas. As you can see from the following shots of two young animals racing around in a space that could easily be an African veldt, Monarto went some way towards rectifying that disappointment. 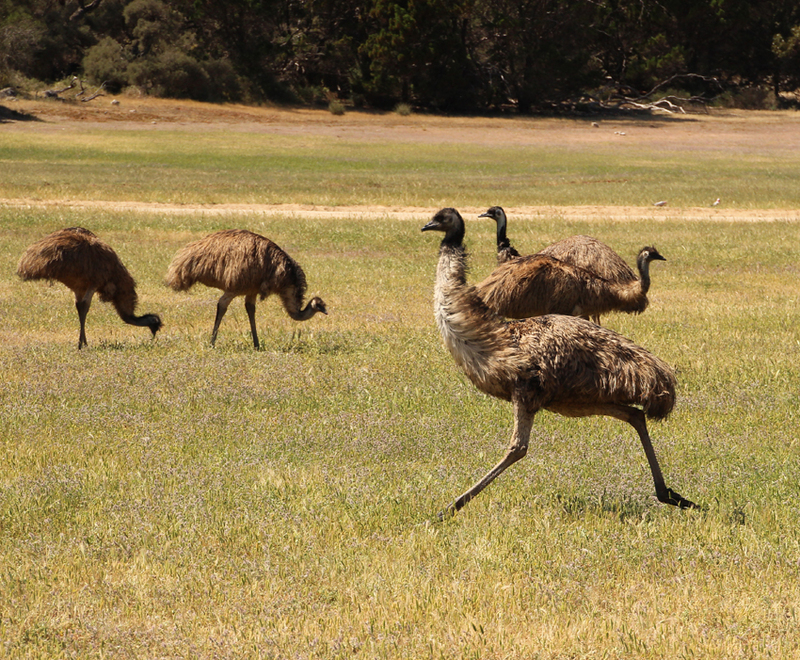 Monarto Zoo is about an hour drive from Adelaide along the Princes Highway. It is a vast (1500 hectares) open range zoo with over 50 exotic and native animals, most of them displayed in open range settings. Visitors tour the enclosures in special buses with volunteer guides who provide expert information. There are excellent tourist facilities including a cafe, picnic areas and special ‘behind the scenes’ tours that can be pre-arranged. 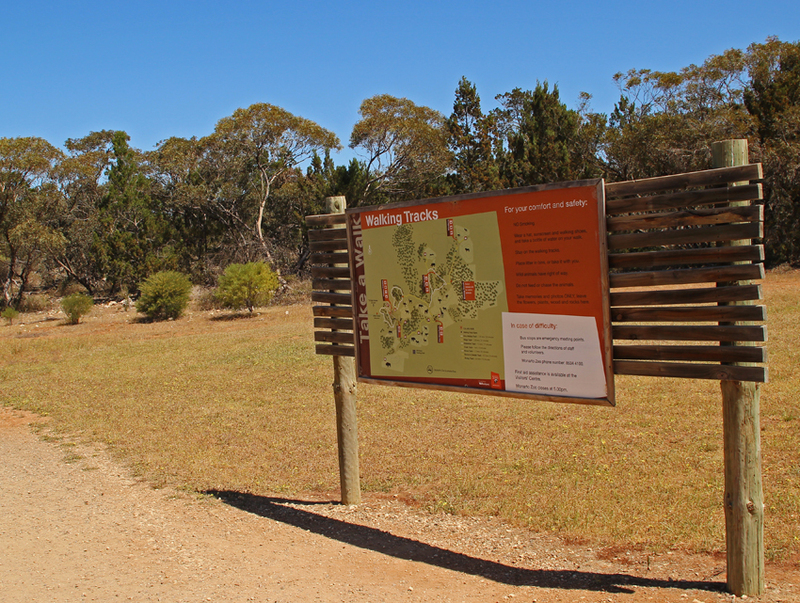 After my predator experiences from the safety of elevated viewing platforms and many other wonderful encounters with plains animals from giraffes to Mongolian wild horses, I had a bite to eat and set off on one of the many walking trails that wind through the park’s natural bushland. I now switched my focus from exotic species back to native animals. 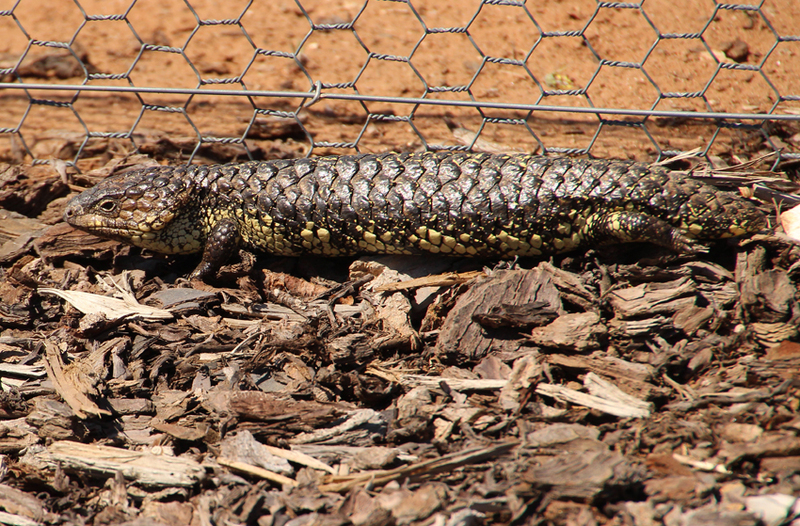 Along one of the trails that ran through a display on sustainable, native gardens I caught sight of a shingleback lizard. 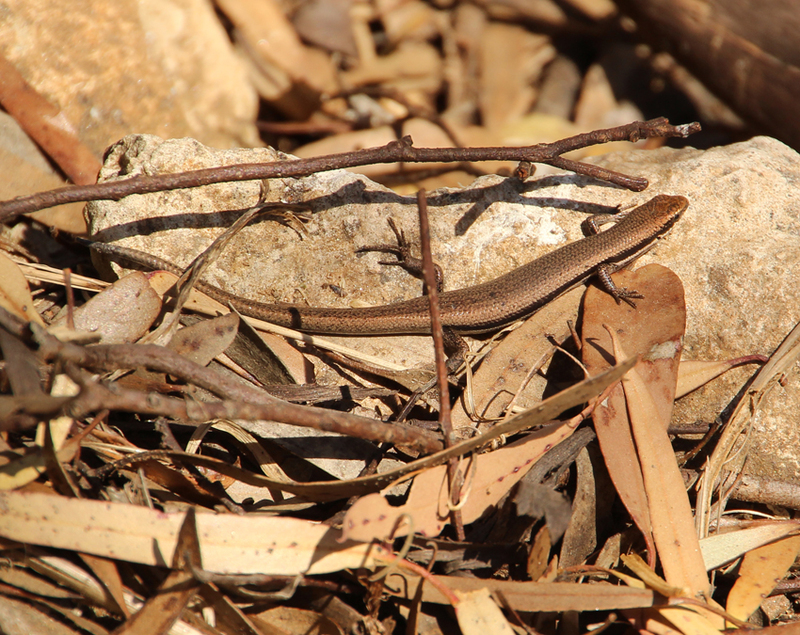 The dry sclerophyll scrub was also home to numerous small common dwarf skinks that I had not encountered before. 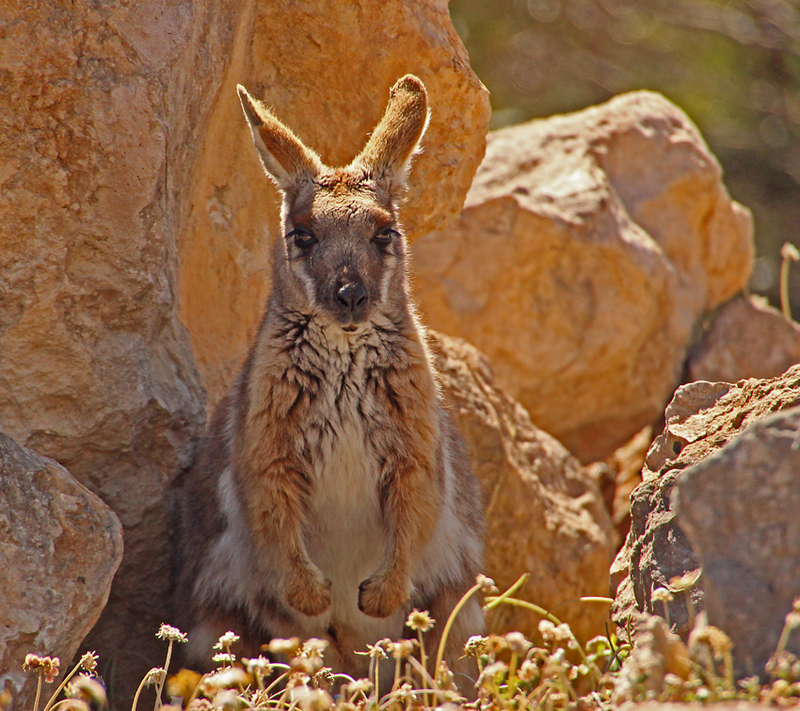 Emus and grey kangaroos roamed freely in certain regions of the park and in one smaller, closed off area yellow footed rock wallabies enjoyed a boulder strewn habitat. 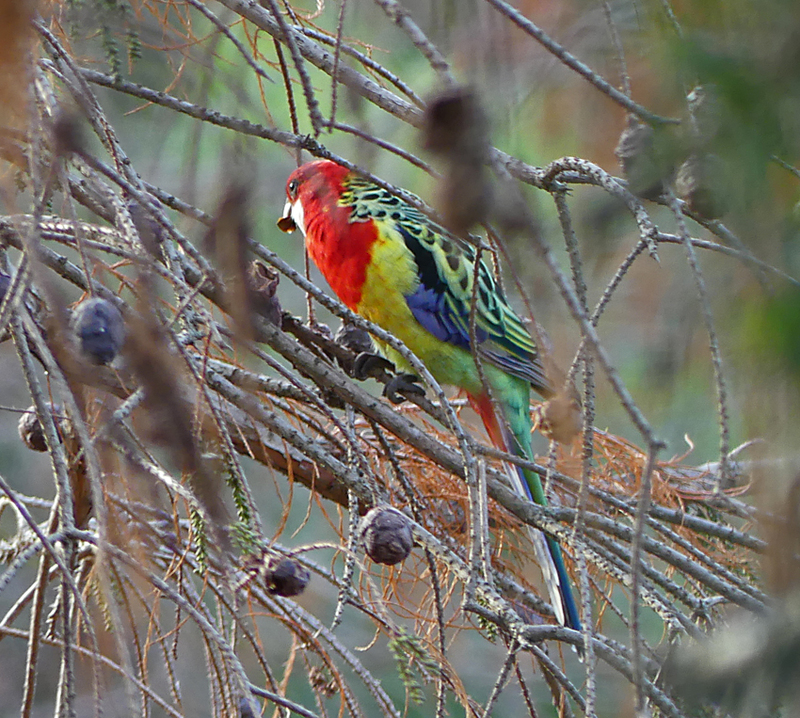 A variety of birds including: honeyeaters, wrens, finches, various parrots as well as the usual suspects like magpies, crows and birds of prey, were also common throughout the trees and open spaces. 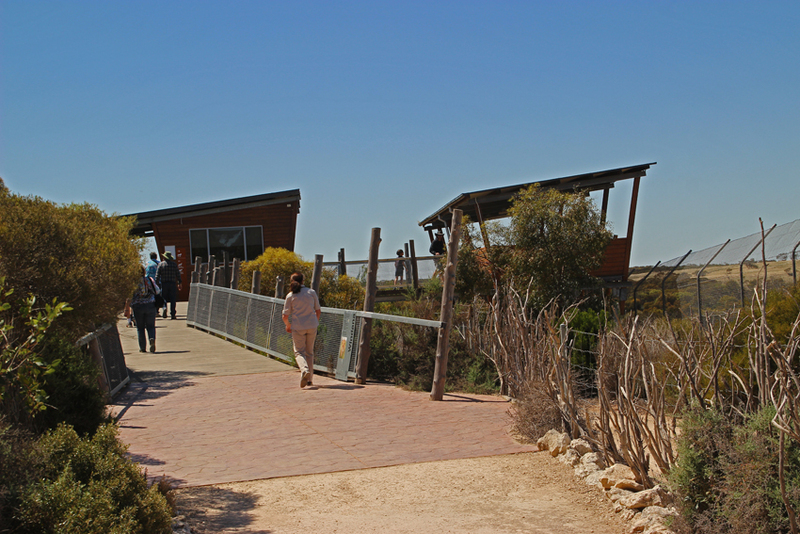 This unusual combination of exotic animals in extensive natural enclosures alongside bushland that can be accessed by walking trails made my day at Monarto exciting at so many different levels and certainly a special place to visit whatever your wildlife preferences.